There are a lot of people out there who take any random underground band and their album, then proclaim them to be the greatest band ever and then try and compare them to legends of the genre, which is highly stupid and usually is nothing more than some fan trying to be cool by being able to namedrop an obscure act. This also tends to happen a lot with death/thrash bands, as I've seen just about every band out there being praised by someone, while they slobber all over about how "random death/thrash album" is just as good as "The Awakening," "Final Holocaust," and other masterpieces. However, Nocturn is a band that I feel is pretty close to being worthy of such admiration, as their brand of music is stunning to say the least. Coming from the Netherlands, they were already in the shadow of the death/thrash masters in Pestilence and the incredible Thanatos, but Nocturn's music was definitely different. The music on the band's debut (and only full-length) album "Estranged Dimensions" isn't focused on the brutality aspect, rather they evoke a very dark atmosphere. A simple descriptor for the band and the songs on "Estranged Dimensions" would be something like a much more evil sounding Morbid Saint. While Nocturn aren't as vicious and hostile as the "Spectrum of Death" creators, they make up for it with the dark aura that is found throughout the record. The title track that opens up the album starts with some heavy powerchords and a grim sounding melody before the abrasive vocals eventually find their way through. A lot of death/thrash songs are usually fast and aggressive, but the song carries on at a very slow and creeping pace as the melodies bring that eerie feel and the very harsh vocals crush the listener, making for a nice change of pace. 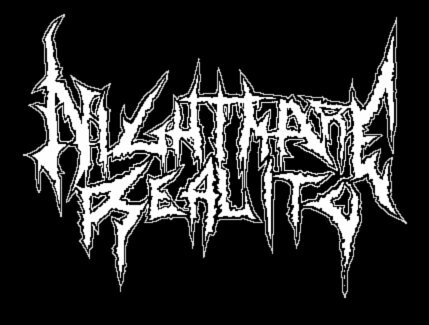 "Delirium Tremens" and "Shades of Insanity" also deviate from the path at certain points, with their gloomy, yet beautiful melodies and stark, heavy riffs. The only thing that held this album back from being better was the length of some of the songs. I have no problem if bands want to write longer material, but they had better be able to hold my attention. Nocturn, did not accomplish this on every track, with "Delirium Tremens" and "Century of Execration" being the two best examples. Both songs featured some great riffs and stellar moments, but there were also points in the songs where they went nowhere or repeated themselves. Had those two tracks been more like "Altered Evolution," a song that clocks in at just a little over eight minutes, then "Estranged Dimensions" would definitely have ranked higher, as this track had plenty going for it: the aforementioned riffs, melodies, and everything else simply worked here and kept my headbanging for the whole duration. 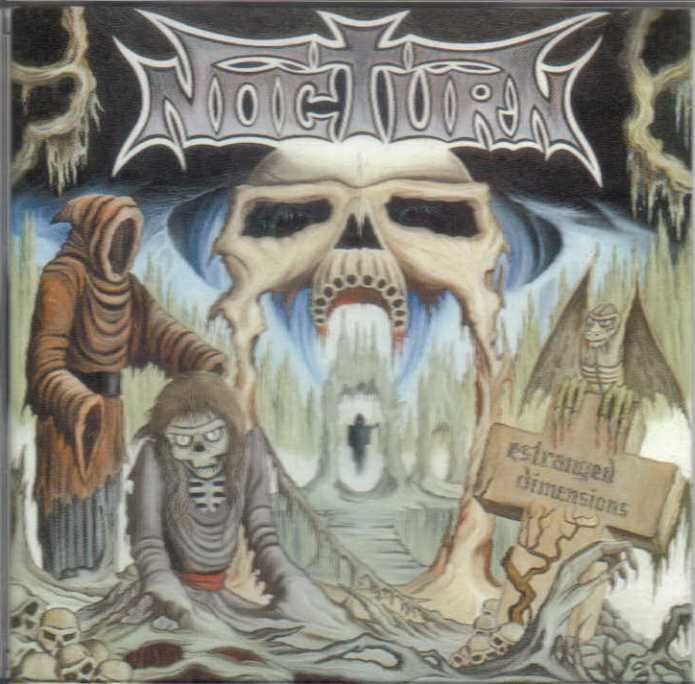 Nocturn comes with the highest recommendation as their music will easily please fans of acts like Ripping Corpse, Revenant, Infernal Majesty and other thrash bands who brought the extreme aggression, as well as some unfathomable darkness.